Happy Friday! This rainy, gloomy weather made me realize I don't own a good rain jacket. I have a heavy foul weather one for sailing, and a light trench coat for when it's drizzling, yet I don't own the perfect all-around jacket. Then I stumbled across this one on Henri Llyod. 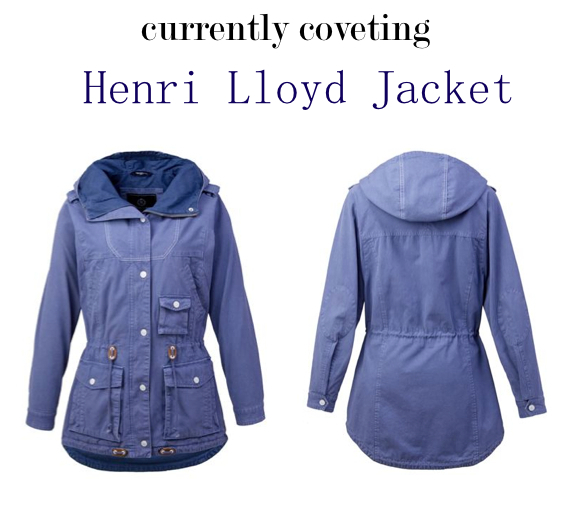 Henri Llyod is my go-to for all my sailing gear. Everything is well made and lasts forever. This jacket is perfect; it's stylish but still practical. Unlike most "army style" jackets, it has a hood and nautical details.